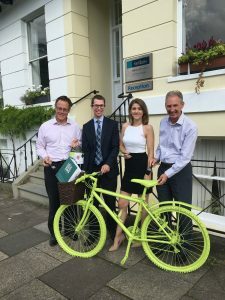 Lawyers from a leading Gloucestershire firm have swapped pens for paintbrushes in support of the inaugural Bloor Homes Cheltenham Festival of Cycling. 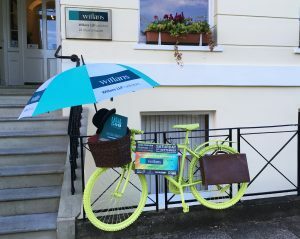 Willans solicitors are displaying a donated bicycle outside their offices, which they have painted in our eye-catching shade of lime green, as part of the festival’s bike trail around Cheltenham. The firm is one of the supporters of our festival, the highlight of which will be the finish of the seventh stage of the OVO Energy Tour of Britain on Saturday 9 September. 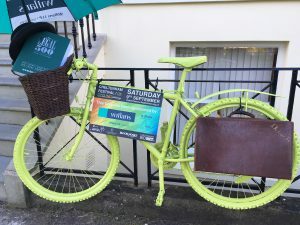 The famed race will see 120 nimble cyclists fly past some of the town’s famous landmarks, including the historic Promenade.  If you fancy exploring our bike trail, including taking part in our free treasure trail, you can find the bike locations here on the map.